To present the giCASES approach on case-based collaborative learning and co-creation of knowledge in the geospatial sector, the development of the pilot case studies and the results of testing. To exchange ideas on existing or future initiatives, aiming to promote innovation or to facilitate co-creation of knowledge in the field. To discuss different perspectives on university-enterprise cooperation gathering the experience of relevant stakeholders engaged in fostering the acquisition of key skills for students to enhance their employability. 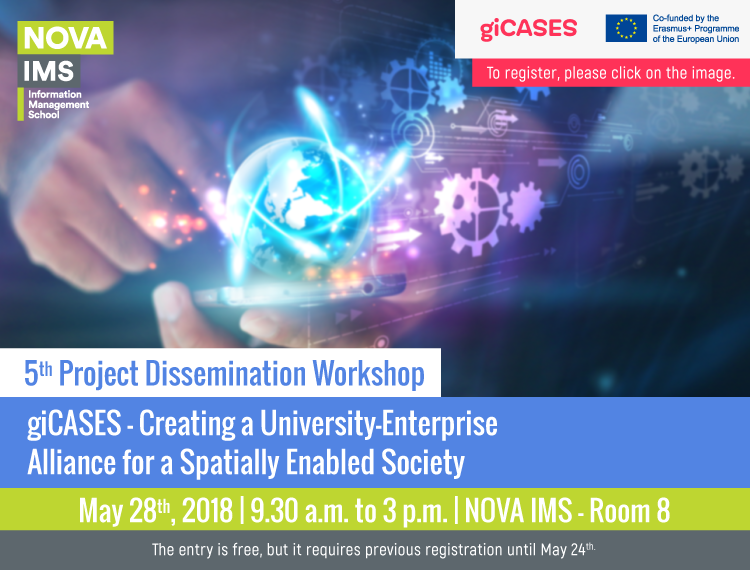 The workshop will bring together representatives from the consortium partners; representatives from universities and private companies active in the geospatial field, similar projects and other public and private organizations. A professional mediator and facilitator will chair the interactive on co-creation, foreseen in the second part of the workshop.